I’ll wear both my hats for this one! You have done a marvellous job with your edits (and what you fail to mention is that, prior to these rounds of rigorous changes, you have gone through another couple of rounds of edits – you must be SO sick of your editor now! 😀). The thing about narrative and dialogue is that, ultimately, they both serve the same purpose: to move the story from beginning where the conflict (inner or outer) is introduced, to the quest/journey/problem-solving of the central part, with its high and low points, to the extreme high or low which sets the scene for the conflict-solving and denouement. And their job is to do it in the most interesting ways possible. You can have one without the other, and that’s okay… but together they make something wonderful. This is what you have here. We could go on and on, adding dialogue and narrative, but there comes a point when the story is saturated. That’s the point to stop — and maybe even begin cutting back the extraneous detail. It is never worth filling a story with detail beyond the point at which it adds value to the story. Stephanie has been honed so that every event, every conversation, every move the characters make, and every single word choice is intrinsic to the story. 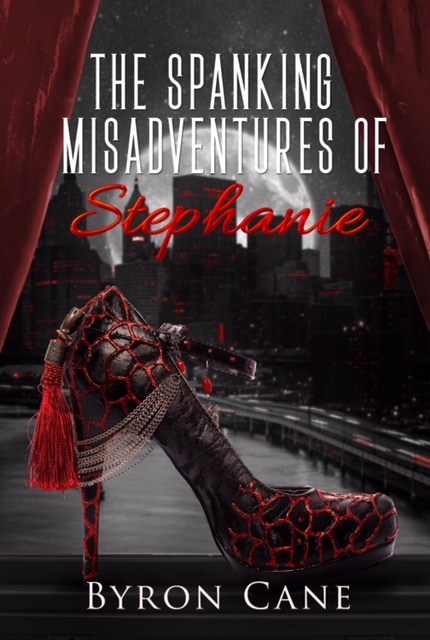 I am absolutely delighted to able to bring this book to e-readers everywhere, and to give those who want to get their hands on Stephanie the chance to buy it in print. I know you are one happy author! You have an equally happy editor who is thoroughly proud of you! I kinda forgot about the first couple of edits. They were more of a beta read anyway. Stephanie would love to have her readers get their hands on her. 😉 Talk about your meet-and-spank event. It’s a spoof of the author book tour. Stephanie, as the character, would much prefer a spanking tour. Pingback: The Bumhampton Chronicles: Chapter 10 (Part 6) | Spank Me Hard! ... Please?